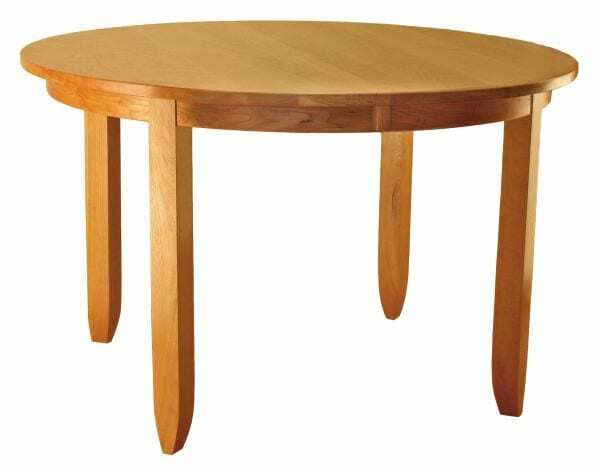 48″ Modern Shaker Table shown in Cherry. Standard Features: #5 Round top, 2 1/4″ wide skirting, #110 Mission edge, wood slides, 2 3/4″ Modern Shaker legs. Available in sizes: 42″ round to 54″ round (6″ increments).